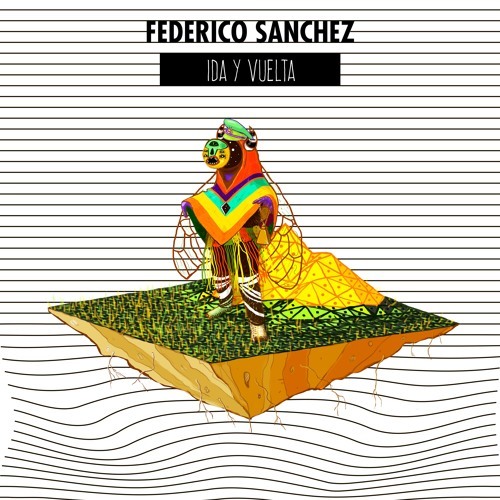 Digital cumbia specialist Federico Sanchez’s first solo album is a work of madness combined with beauty. Previously known as one part of the genre blending The Peronists, Federico naturally merges folkloric melodies with driving electronic beats. From the minimalist wonder of Norte II to the frenetic synths of Mars Landing, Federico’s sound is an effortless mix of the traditional and the modern. Born and raised in the Yungas forests of northern Argentina, his musical influences range from the traditional sounds of his homeland to house, techno, reggaeton, cumbia and the modern urban rhythms of Latin America. His tropical and energetic dance floor?orientated music has seen him DJ in cities across the world, including Buenos Aires, New York, Berlin, Paris and London, sharing the booth with the likes of Omar Souleyman, Scuba, Agoria, Dengue Dengue Dengue, and Mad Professor. Having collaborated with the likes of Niña Dioz, Jeannine Martin, Axel Krygier, Yodashe and Galambo, his previous work has appeared on a number of compilations including Waxplotation Records in the US, ZZK Records in Argentina and Berlin’s Chusma Records.